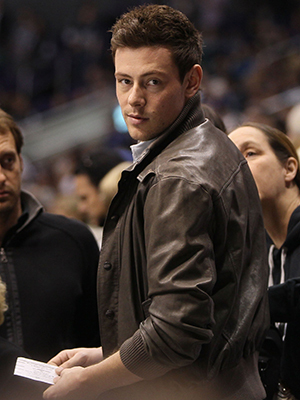 "Glee" star Cory Monteith was found dead in his room at Vancouver's Fairmont Pacific Rim hotel Saturday. He was 31. The actor's publicist, Melissa Kates, confirmed the news: "We are so saddened to confirm that the reports on the death of Cory Monteith are accurate. We are in shock and mourning this tragic loss." During a press conference, Vancouver Policesaid the actor had gone out with friends on Friday evening, but video footage shows he was alone when he returned to his room in the early morning hours. Monteith had been staying at the hotel since July 6, and was due to check out on Saturday. When he missed the scheduled check-out time at noon, hotel staff went to his room on the 21st floor. The cause of death is unknown, but no foul play is suspected. An autopsy is scheduled for Monday. The British Columbia native had been very open about his past issues with substance abuse and in 2011 told Parade magazine that he was "lucky to be alive" as he had a "serious problem" with drugs and alcohol when he was a teen. Worried that he "could die," his mother and some of his friends staged an intervention when he was 19. "That’s when I first went to rehab. I did the stint but then went back to doing exactly what I left off doing," he said. After he was caught stealing "a significant amount of money from a family member," Monteith finally realized it was time for him to turn his life around. He quit doing drugs, got a job as a roofer, and started working with an acting coach. Following the revelation about his addictions, Monteith appeared on the Canadian talk show"George Stroumboulopoulos Tonight" and explained why he chose to go public with his story. "You see this young, all-American quarterback-looking dude on the show and you immediately made assumptions," he said. "And people started identifying me with those assumptions. … I felt like I had to step in at some point and relate to people my experience and relate to people the truth of my life and where I come from." Monteith had played Finn Hudson on "Glee" since the show's debut in 2009, and in 2011 won a Teen Choice Award for top actor in a comedy. His other acting credits include "Monte Carlo" and "Final Destination 3."